Legal transfers (or transplants, receptions) of legal phenomena sometimes take place even within one single realm. This especially applies to the conglomerate states of the early modern period where different regions of one realm often had different laws and legal cultures. Livland – covering roughly the northern part of present-day Latvia and the southern part of Estonia – became part of Sweden through the Treaty of Altmark in 1629. From the social and political viewpoint, Livland was vastly distinct from Sweden proper. Livland was a feudal society par excellence, a land with mighty land-owning magnates and a peasantry tied to the land. Sweden, in turn, came late in developing feudal structures. The legal culture in Livland also differed vastly from that of Sweden proper. Since the Middle Ages, a German-speaking nobility and citizenry had settled in Livland. This brought the same legal order and judicial proceedings to Livland that were in effect in other northern German regions. This, among other things, meant that Livland participated in the reception of Roman law, which never influenced Sweden to the same extent. The model of the Swedish high court, such as it was created in Stockholm in 1614, was duplicated in other parts of the realm, including the Livonian court in Dorpat in 1630. The statutes regulating the Dorpat High Court were similar to those governing the Svea High Court, albeit with some differences. 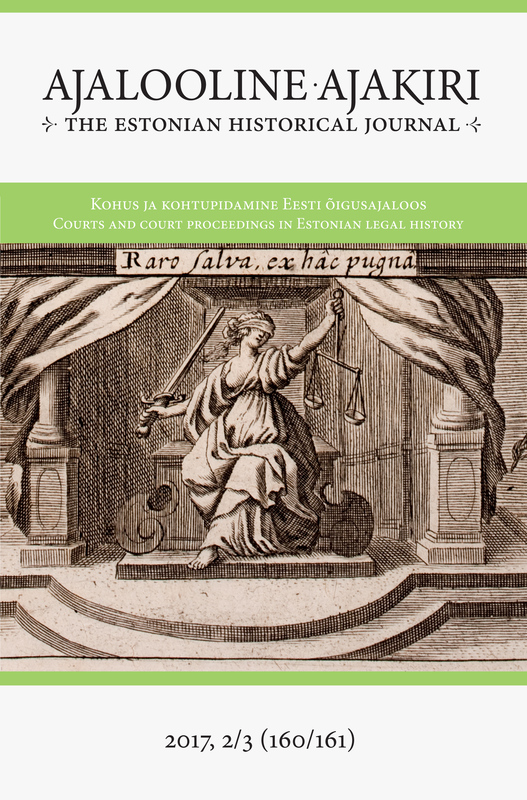 The most important of those differences was that the Livonian courts, including the Dorpat High Court, were to follow different legal sources than the courts in Sweden proper. In Livland, local law, the German gemeines Recht and the European ius commune were all accepted as binding legal sources. The differences in practice were more significant than those in the statutes. The Livonian court turned out to be less of an appeals court than the Svea High Court. In Livland, the access of peasants to the appeals court was effectively barred because their cases were rarely heard even in the lower courts – they were heard in the manorial courts instead, which survived under Swedish rule. In comparison to Sweden proper, judicial culture in Livland was in the hands of learned lawyers to a far greater extent, who dominated both civil procedure and accusatorial criminal procedure. In both categories, the procedure was written and dominated by lawyers. Although learned discussions took place at the Svea Court as well, in Dorpat, learned judicial culture was taken a step further. In criminal procedure, clearly the biggest difference was that judicial torture was living law in Livland until the 1680s, with the High Court giving formal permission for the lower courts to apply torture. In Sweden, torture emerged in the early seventeenth century, but was never legalised. The high court of appeals was a phenomenon, which came in many shapes and sizes. The same idea was transferred from one realm to another, and the same basic structure was multiplied within the realms. The products of legal transfer, the courts in action, could turn out differently, however. This often happened deliberately, as the idea of a high court sometimes needed tailoring to suit particular local circumstances. Sometimes the product took a different shape unexpectedly, because the local circumstances simply made it different. This could even happen within one and the same realm.